Mockup of CR929 debuts in international airshow__Commercial Aircraft Corporation of China, Ltd.
China-Russia Commercial Aircraft International Co., Ltd (CRAIC), together with its parents companies Commercial Aircraft Corporation of China, Ltd. (COMAC) and Russia's United Aircraft Corporation (UAC), unveiled the mockup of CR929 aircraft during the 12th China International Aviation & Aerospace Exhibition on November 6th, 2018. This is the first time for the 1:1 mockup of CR929 aircraft to be displayed on an international airshow, and also the first time for CRAIC to attend Zhuhai Airshow as the main organization for implementing CR929 program. Mr. Shen Zhulin, Deputy Director of Department of High-Tech Industry of National Development and Reform Commission (NDRC), and relevant executives of Equipment Industry Department of Ministry of Industry and Information Technology (MIIT), attended the unveiling ceremony. Mr. Zhao Yuerang, Deputy Secretary of the Party Committee and President of COMAC, and Mr. Yury Slyusar, President of United Aircraft Corporation (UAC), made a speech respectively. Mr. Zhang Yanzhong, Chairman of Advisory Committee on Large Aircraft Projects of the State Council and Academician of the Chinese Academy of Engineering, Mr. Liu Linzong, Deputy Secretary of the Party Committee and Vice President of COMAC, Mr. Wu Guanghui, Vice President of COMAC, Mr. Zhao Jiufang, Member of Standing Committee of the Party Committee and Secretary of the Commission for Discipline Inspection of COMAC, Mr. Guo Bozhi, Vice President of COMAC, Mr. Cheng Fubo, Vice President of COMAC, and Mr. Medvedev, Mr. Koval and Mr. Tarasenko, Vice Presidents of UAC, attend the unveiling ceremony. Mr. Yury Slyusar expressed that CR929 program had been under way in an orderly manner and been in the preliminary design phase and potential supplier & equipment selection phase, which will conclude by the end of 2019. The unveiling of the full-scale mockup of CR929 aircraft had been an important step forward in the development of CR929 program, which could show the comfort and various advantages of CR929 long range wide body commercial aircraft to the world. 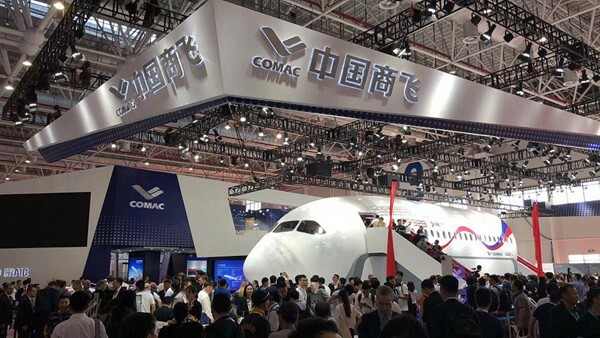 Mr. Zhao Yuerang expressed that the mockup of CR929 aircraft combined the product design experience of COMAC in ARJ21 and C919 program, integrated the market experience and design thinking of its partner UAC formed during the years, and had many highlights in progressiveness, comfortability and intelligence. Customers and the public could experience this new generation of wide body aircraft with integrated Chinese and Russian elements and distinctive features in reality. He hoped that CR929 program would be a success, become a symbol of China-Russia strategic cooperation, and write a new chapter in China-Russia traditional friendship. 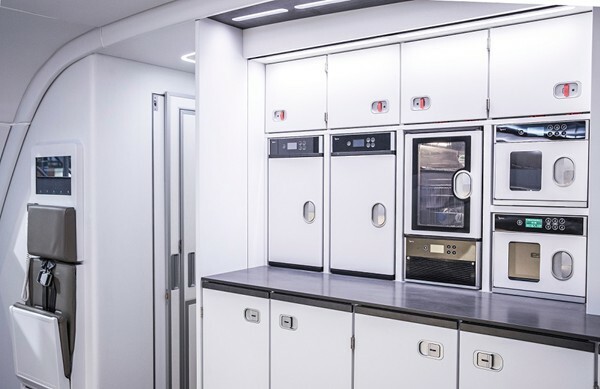 Developing mockup is an important element in the pre-developing phase of CR929, which is mainly intended to display the image and three-class cabin layout of the aircraft in reality, laying a foundation for market development and providing a platform for customer experience. The scale of CR929 mockup is 1:1, which featured CR929 cockpit and cabin. The mockup is 22 m in length, 5.9 m in width and 6.5 m in height. 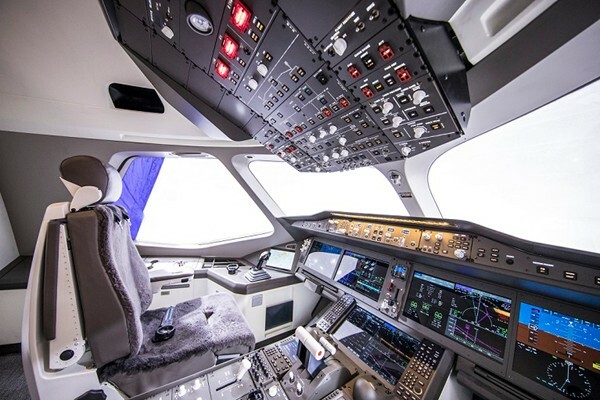 It reflects the top-ranking cockpit conceptual design, advanced avionics integration design and personalized cockpit layout of CR929 aircraft. 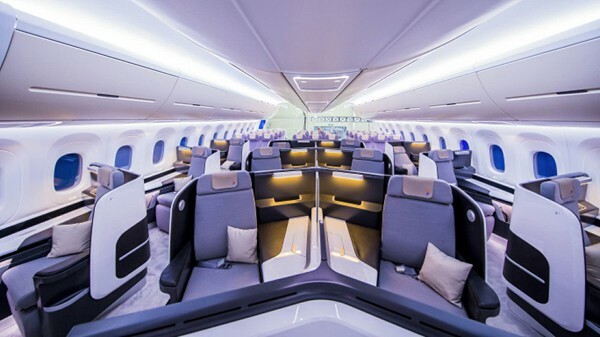 The cabin of the mockup is equipped with 2 rows of first class passenger seats, 3 rows of business class passenger seats and 4 rows of economy class passenger seats, and incorporates advanced and fashionable entertainment system and characteristic interior with Chinese and Russian elements, which integrates comfortability and progressiveness. CR929 aircraft program is a major strategic cooperation program between companies of China and Russia in high-tech field under the background of further developing the comprehensive strategic partnership between both countries. With the witness of the two heads of China and Russia, COMAC signed a joint venture contract with UAC on June 25th, 2016. 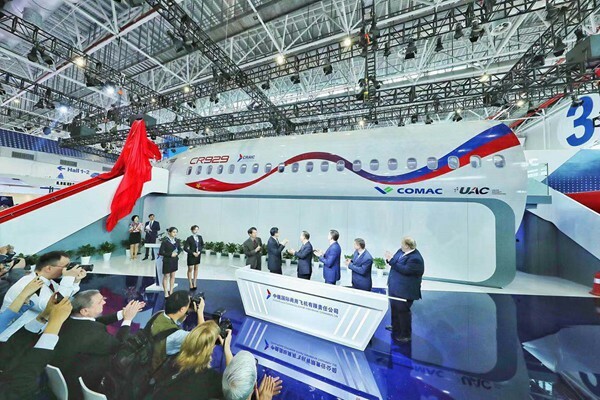 China-Russia Commercial Aircraft International Co., Ltd (CRAIC), a joint venture of COMAC and UAC, was established in Shanghai on May 22nd, 2017. Since the establishment of CRAIC, both teams have cooperated more closely, and advanced the research and development of the program effectively. China-Russia long range wide body commercial aircraft was named as CR929, and LOGO of the joint venture is presented on September 29th, 2017, indicating the entry into substantial phase of the research and development of CR929 program. The joint venture completed all the recovery work of the Request for Proposal (RFP) for propulsion system as scheduled on May 30th, 2018. COMAC and UAC jointly determined the main parameters of CR929, such as overall shape and dimension, on June 6th, 2018, and the chief engineers of both sides signed the drawings officially. Currently, CR929 program has entered into preliminary design phase, and relevant work has been carried out in an all-round way and advanced steadily. A photo of the cabin of CR929 mockup. A photo of the cockpit of CR929 mockup. A photo of the cabin interior of CR929 mockup. CR929 mockup attracted wide attention during the airshow.